Over the past 48 hours, Sébastien Josse, currently in third place in the Vendée Globe, put his race on hold to focus on his own safety and that of the Mono60 Edmond de Rothschild. Major damage to the port foil, which occurred at 0930 UTC on Monday morning meant that he was in a tricky situation facing extreme weather conditions - 40 knots of wind and 8m high waves to the south of Australia, sailing along the edge of the Antarctic Exclusion Zone. On Wednesday, the situation had markedly improved allowing the skipper of Gitana Team to carry out a thorough assessment of the damage done to Gitana 16. Unfortunately, the news is not good and the possible solutions that could be put in place to carry out repairs are not deemed good enough to allow him to sail more than half way around the world, or almost 15,000 miles. This is a very difficult moment and a huge disappointment. Sébastien Josse and the Gitana Team have announced their retirement from the 2016-2017 Vendée Globe. On Monday morning at 0930 UTC, Sébastien Josse informed his team that he had suffered major damage to the port foil on Edmond de Rothschild after the boat slammed into the trough of a wave. "I wasn't really pushing her any harder when the incident occurred, but conditions were rough ahead of the area of low pressure. 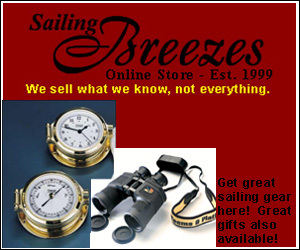 The wind was blowing at 35 knots and the seas whipped up to around 4m. While surfing along, the boat reached thirty knots before slowing right down to ten knots as she dug in. It only lasted for a few seconds. I was under the protective cover between the two doors in the companionway. When the boat got going again, I felt that something wasn't right and I soon saw that there was a problem with the port foil. It was in the water, although I had been sailing with the foils up. I opened the cover to the foil housing and I could see there had been damage. The attachment to the top of the foil, which is a part made of carbon and designed for such strains, had broken. I had to act quickly, as the foil was just being held in place by two screws and if it came out of its mounting, the consequences would be much more serious. It could damage the whole housing by slipping sideways, which would lead to an ingress of water. I quickly gybed to secure the foil and stop that from happening, but unfortunately the timing wasn't good in terms of the weather. To protect the damaged equipment, I would have had to continue towards the NE, but the worsening weather meant I dived to the SE resting on the damaged foil in some nasty weather. On this boat I have already been through worse weather, particularly in the Transat St Barth – Port-la-Forêt, when we had winds up to 50 knots, but here in the Southern Ocean, that is completely different because of how isolated we are. The situation was complicated on Monday night." While Sébastien weathered out the storm and sailed with three reefs in the main, several repair solutions were considered and suggested by his shore team, so that he could choose the most appropriate. 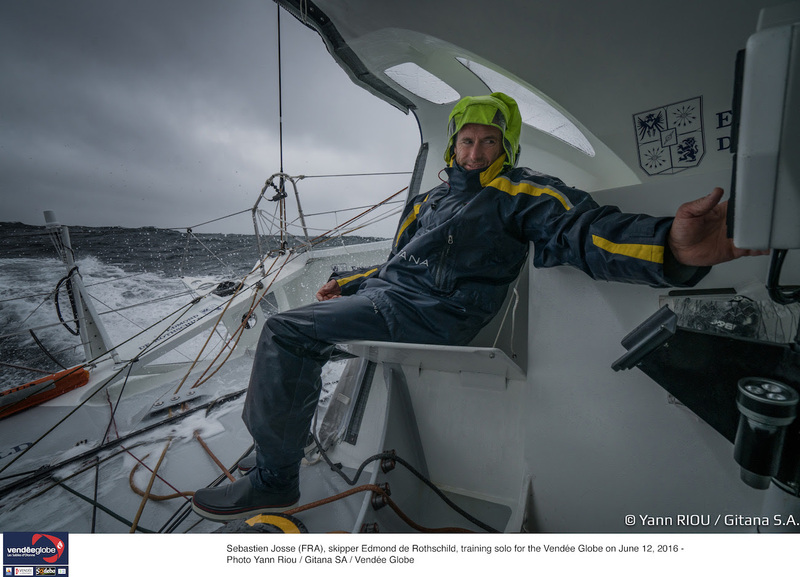 "When you do the Vendée Globe, you know that every day, you will have work to do on the boat. But that means we're talking about patching the boat up. I am a first aid nurse, not a surgeon," explained the solo sailor. Sailing at 41° S and 107° E, the Mono60 Edmond de Rothschild is currently heading towards Australia. The members of Gitana Team are working on finding the best option and will determine later today where Sébastien Josse will head for, maybe Perth in the SW or Adelaide on the southern coast, depending on how easy it is to bring the boat home from these two Australian ports. After 31 days at sea and a race, where he was always up with the frontrunners, Sébastien Josse is therefore retiring from the race and has given us his initial reaction: "I can't hide the fact that it's been very hard, as these boats are very demanding and uncomfortable. To sail quickly, you have to foil and to foil, you need to stay hard at it all the time. But I was pleased to be here. I gave it my all and I don't have any regrets about this race concerning the way I sailed the boat," concluded the skipper of Edmond de Rothschild. For his third go at the legendary Vendée Globe race, Sébastien Josse was one of the favorites in this eighth edition. After all the hard work and energy spent on the Mono60 project Edmond de Rothschild over more than three years, this retirement is a huge disappointment for the sailor, the owners and the team. "My world over the past month has been focused on asking myself questions to perform well. So the decision to retire was bound to have been hard, but it is one that was carefully thought about and accepted by everyone. It's going to take weeks and months to get over the disappointment, as it is not just that the race is ending here, but everything that has gone into it. The passion, energy and commitment that we have all shown in these projects. In the Vendée Globe, we are solo sailors, but these projects are a real team effort. I am lucky to be able to rely on such a great team that is united around this project and I can't thank them enough. The trust shown by Ariane and Benjamin de Rothschild and the Edmond de Rothschild Group, which supports us and have always been at our side in the good times and at other times too, like today," declared Sébastien Josse. "If competition is at the heart of ocean racing and what motivates most of the skippers and their teams, the real priority must always be the safety of the men and their boats. There are bound to be risks, when you set off around the world alone in a non-stop race without assistance, but that is only acceptable within certain limits. This is a huge blow for our team. We are very disappointed, but we will bounce back and the project that lies ahead, involving a maxi-multihull, is in itself an opportunity," declared Cyril Dardashti, Director of Gitana Team.